For each passing year it seems harder to find new pedals that really stands out. Partly because we’re being flooded by so new arrivals making it almost impossible to choose but also because everything seems to be done. Still, there are pedals that hits the mark and for me personally, 2014 has been a very good year with several new additions to my pedal boards. Here’s my top 5 pedals of 2014. An unusual choice perhaps but the Deco is something else when it comes to pedals. 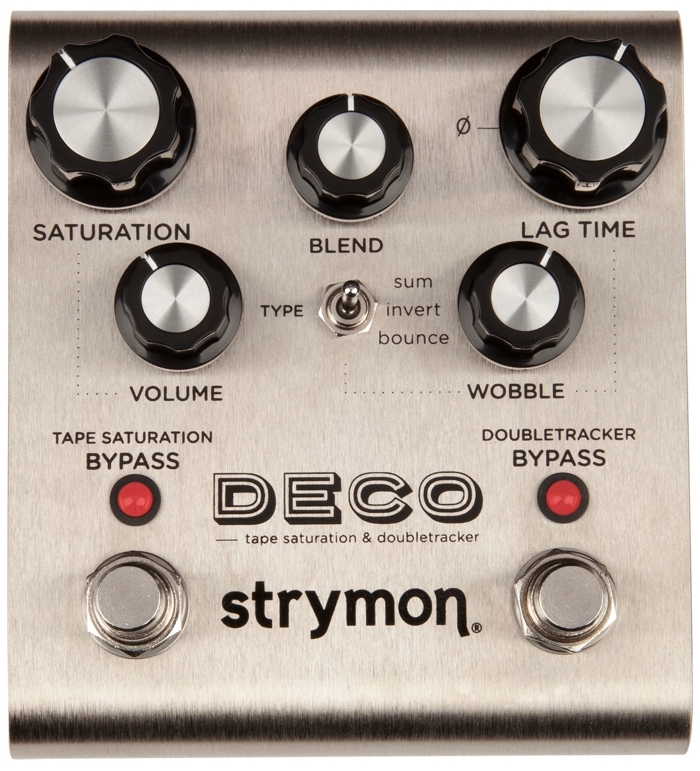 Strymon is known for making state of the art pedals with impressive know-how and dedication. The Deco is perhaps not your typical go-to pedal but for me itâ€™s been a source of inspiration for new sounds and ways of using a pedal. In short, the Deco is a vintage tape recorder cramped into a pedal. Itâ€™s capable of producing overdrive, echo and flanger and it all sounds like when I as a kid plugged my guitar into my dadâ€™s old Revox. Versatile and great fun! Iâ€™ve never owned a Klon but Iâ€™ve played them many times and Iâ€™m well aware of the myth. Iâ€™m not sure I agree that itâ€™s the best overdrive or booster ever made but thereâ€™s definitely something to itâ€¦ not to mention a jawbreaking price tag. 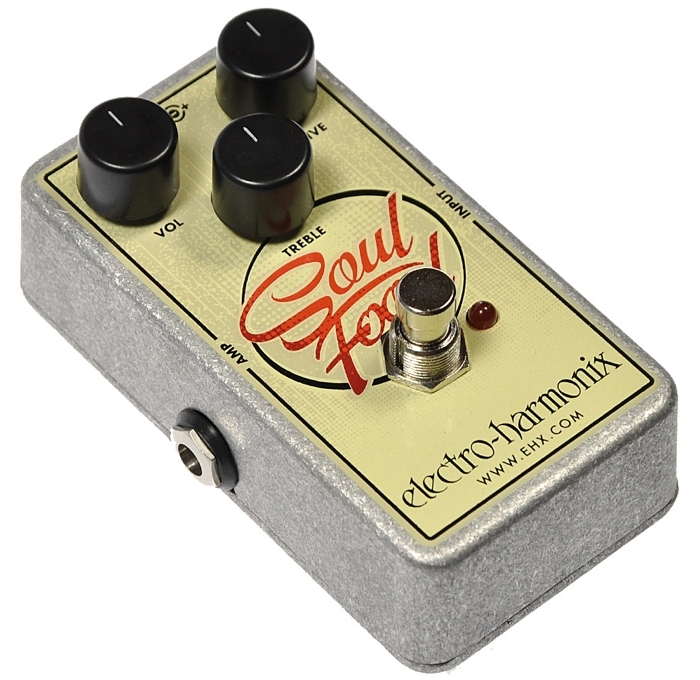 Electro Harmonix decided to do something about it and released the Soul Food in late 2013 (so late that I consider it a 2014 pedal). Iâ€™m sure itâ€™s become one of their most popular pedals because this thing is simply amazing and one wonder if the price is just to spite the people who spent a fortune on the original. Gearmandude, AnalogMan and many others are impressed and so am I. If you want a pedal that can boost, produce creamy overdrive and make almost any amp sound like a million bucks then this is it. TopTone from Brazil has a few but great sounding pedals in their catalog. The Shine Boost has been launched without much notice – or at least as far as I can tell – but itâ€™s become one of my favourite booster pedals. The Shine Boost is basically a very transparent clean volume booster, which in it self is a great tool on the pedal board but the magic lies in the addition of a brightness switch, which boosts the treble and high mids. The problem with combining a typical volume booster with a mids scooped Tube Driver or Big Muff is that the booster doesnâ€™t help making your guitar cut through the mix. A mids saturated TS9/808 would be way too much and make your favourite Muff sound too dark and choked but the slight mids boost from the Shine Boost is spot on and only adds to the overdrive/distortionâ€™s harmonics. 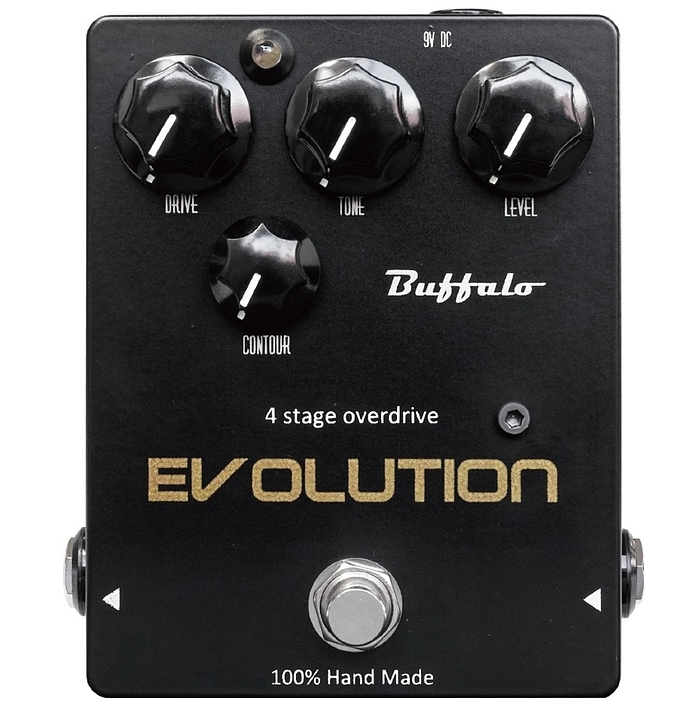 Buffalo FX are on a roll and the Evolution is by no means alone in their amazing collection of pedals. Loosely based on the Cornish G2, which again is based on the RAT – both considered to be some of the finest and most reliable distortions in the business – the Evolution takes the classic tone a step further by opening up the top frequencies, tightening the bottom and making the distortion more linear, allowing you to really crank it without it ever sounding thin or messy. With the additional Contour control you can also dial in the amount of mid range you need for cutting through a mix. Capable of producing anything between a mild 808 to a growling RAT the Evolution is in my opinion the best distortion pedal on the market and a sure winner in 2014. What are your favourites? Do you agree with mine? Please share! It’s a really cool slap back. Like the old tape recorders though it only produce one repeat. I can’t really praise this pedal anough. Awesome compression/boost/overdrive and modulation. I want top tone shine boost but it’s too expensive and hard to get in my country. So I’m looking for an alternative pedal. Is the tc spark booster mid mode similar to shine boost? You can get something similar with that. Check out the Dunlop EchoPlex Preamp and Exotic EP Booster as well. hi gilmourish, Thank you for your existence and devotion. My most favourite site on the net. The pedal post is awesome and I just got hold of the soulfood and I am using it as a buffered boost at the begining of my pedal chain. and fab web site….cant wait to start using some of the wonderful backing tracks to good effect….thankyou…. Hope to try that one :) Cheers! First off, I love your site. Thank you also for the Soul Food recommendation. I am a big Gilmour fan, and although I don’t play like him, I decided to try out a Soul Food with my AC30. All I have to say is that I’ve had it for over 4-5 months and I’ve yet to fall out of love with it. I stack it with a Timmy sometimes and it’s really the sound I’ve been looking for. It’s bright and chewy, but also two-dimensional and the bass is tame which works very well with my LP’s pickups. Thanks again. Love your site and you’re a big inspiration. Tackar! I tried out a soul food in a guitar center one day and didn’t get too far with it. That thing was so noisy. Think that was a fluke or does yours seem noisier than most too? Haven’t noticed any unusal noise but it does have a lot of compression and mid range which will amplify whatever noise there is in your rig. 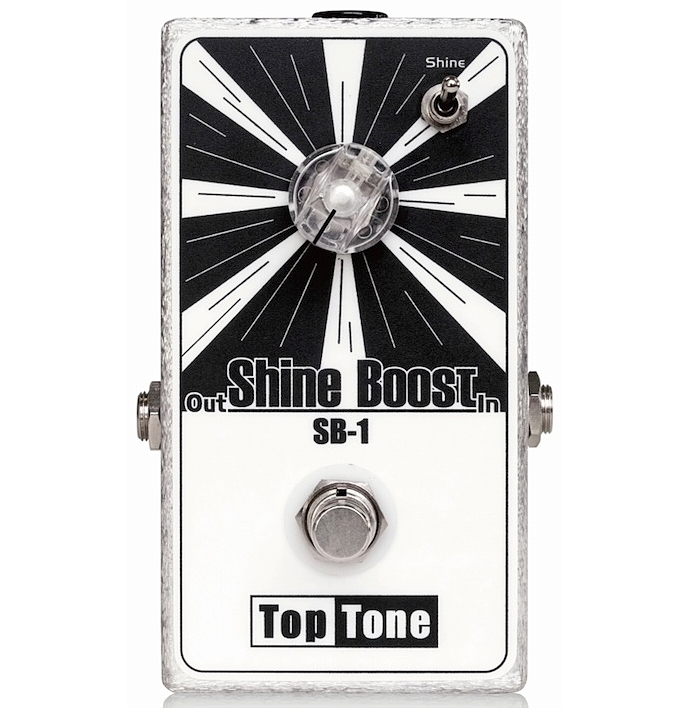 But I already have BD-2 Keeley, what do you think BD-2 is similar in character to Top Tone Shine Boost ? Is it worth it to buy Shine Boost if I have BD-2 ? Well… no it’s not the same pedal because each has its own voicing. The BD2, even when clean, has a hint of mid range and compression but overall a fairly bright tone. The Shine Boost has a fully transparent volume boost and a second mode, which is similar to the EP Booster, with a hint of mid range and compression but slightly darker than the BD2. Having said that, if you use the BD2 as a booster then they will cover much of the same ground so in that sense, having two is probably redundant. Have you tried the Way Huge Pork Loin?? It’s a clean boost with overdrive…you can mix both sounds…. I think its a great pedal…similar to butler, bd-2… a bit dark… what do you think about it? It’s a great pedal and a great alternative to the TD and BD2 in particular. Bjorn – I’m sorry to disagree but I did a side-by-side with the EHX Soul Food and the Mojopedals K2 (another Klone) and the K2 killed the Soul Food. In the Guitar Center I went to in order to use a Soul Food to compare it to they all said the Soul Food was great…..until they heard the Mojopedals K2, and everyone who worked in the Guitar Dept. agreed there was a significant difference. I’m told the same is true of the ARC Effects and Peidmont Klones. Also, the Soul Food becomes cheap and tinny ans dull after hearing a real Klon (well the new KTR version which is back in production by Bill Finnegan himself). Well, I never said that the Soul Food is the best Klon clone out there. My list was for what I think were the best buys in 2014 and I think it’s hard to beat the Soul Food, with its tone and price. That doesn’t mean that I’ve ditched all my other overdrives or doesn’t think that there are better ones on the market. I’ve never played the K2 but I think it came out in late 2012 or early 2013. I need to check it out, though… thanks for the tip! Bjorn…for your DEM issues. Send it to Howard Davis in NYC. He invented the EM/DEM and the DMM. He will evaluate your DEM and make recommendations. He can fix the volume drop as well as noise issues. Here is a list of DEM mods he can do (sent a few years back). Highly recommended. Total bypass can be done for any Deluxe Electric Mistress. costly. In the reissue models it is preferable to total bypass. bypass to the effect-on mode with the footswitch. set faster, resulting in a smoother sound at higher rate and range settings. Thanks for the tip! I’m aware of Howard and heard he’s done some really nice mods. I don’t really have an issue with my ’99 Deluxe though. I kind of like all its quirkiness and become a big part of my tone. Hi Bjorn, I keep returing to your site every day I can for a sweet piece of a great advice! Love your music and playing too! I also like this list (+Effectrode Fire Bottle) except the fact that is it literally impossible to get any of those pedals (except for Strymon or EHX) in Poland, so I sometimes have to resort to mainstream brands penetrating the global market with mass products. Do you think an EP booster would be a good alternative for a Shine Booster or Fire Bottle as an ‘always on’ pedal? I have a Standard Fender Strat and I constatly feel like I need more gain in my rig because everything sounds flat and thing, despite running RC Booster and Tube Screamer. Thank you, Gregory! The EP is definitely worth a shot. Very similar to the Shine Boost. hey Greg just to let you know that effectrode effects are available from their web page if you are happy with the prices. Also did you know that Phil Taylor is effectrode…and that their ethos is mainly studio outboard gear…..which is probably why dave has so many in his arsenal….. Thanks a lot for your kind words and for sharing, Denis! Thank you for all the effort you put into reviews and tutorials – it’s always a pleasure to read them! I am using a POD HD500 most of the time for studio recording and prefer it over using an amp (bedroom setup, you know). At the same time I am reading about your favourite pedals and how fine they are. Now I am asking myself, if it is good idea of using them together with the POD or are you reviewing them in view of using them together with tube amps? Hi Mike! You can definitely use pedals with the POD. A lot of guitarists do. Since you’re using yours without an amp, I assume you’re using the amp-sims, which basically are gain effects. Blending overdrive and distortion pedals on top of these may result in a lot of noise and you’ll probably also experience some impedance issues. I recommend using only modulation and delay pedals when using digital processors straight into a computer or headphones. I agree with your choice of pedal I’d like to be made Bjorn. That’s why I’ve asked Stu Castledine if he could clone the Green Font EM, with noise, and volume drop issues fixed. I told only you, and one other friend about this when I spoke to Stu about it. Even though the 1024 chip is out of production, he said he’d see if he could figure something out, using his own stock Green Font for a sound example, so with his amazing ears, I wouldn’t be surprised if in 5 or 6 months we have an answer as to if it can be perfectly cloned, with noise, no volume drop, definitely smaller than the deluxe, and the thing that keeps the eleclady, and Hartman from being perfect, it will have to work well with all kinds of dirt pedals. I sure hope he does it! If it can be done, he can do it. If anyone would check out his V2 ( not the clips, they sound NOTHING like the pedal), Stu would start getting, the attention he deserves! I doubt Macaris would have him making the real 18 v CPB original reissues if he wasn’t a top notch builder. I know from experience his wahs are the best money can buy, and the V2 is very, very close to DGs #1 Muff, or a P1 for Â£189 or less! Try ’em, and buy ’em, the guy’s a genius!!! I’ll give you a secret weapon for the sounds that came out of Abbey Road. The Castledine Magical Mystery Box! Rather than describe the versatility of the pedal, just Youtube “pinstriped clips- Castledine Magical Mystery Box” it really is a unique pedal that might not be a great Gilmourish pedal, though it very well could do things I’ve not yet seen, but it certainly goes a long way in making the tones from Revolver, through The White Album, and even some of Let it Be. Bjorn, what is the one pedal that you would like to see that has never been built? What would be your dream pedal? I’m planning on purchasing the Buffalo Evolution soon. In your opinion, could a Fulltone OCD or an EHX Soul Food be used with the Evolution? My example would be if I wanted to use the OCD or Soul Food for mild overdrive sounds and then click the Evolution for heavier distorted sections or am I better just using the Evolution as a standalone and adjusting the volume knob on my guitar to increase or decrease my distortion levels? I want to again thank you for all your help. I have recently upgraded my Mesa Boogie Lone Star Special with JJ tubes, upgraded several cables and purchased a Voodoo lab power supply. I also chased the shine on tone. The live versions. As I don’t use the EMG active pups it was a bit more difficult. I have CS69’s on my #1 Strat and Texas specials on my #2. With the neck pickup on #2 it makes it a lot easier. CS69 on neck gives me a lot of grief when trying to recreate that sweet neck pickup tone like shine on or cbtl live. I tried many pedals with the CS69 neck to recreate the live active pup tones and the only one I found to work with my setup is the Butler Tube Driver and the super crunch box. The bd2, plexidrive, spark and buffalo power booster doesn’t have enough mids to replicate the SPC feature on Gilmour’s active pups from my experience. So in essence, I have found that you need a pedal with plenty of mids and gain. You won’t be using a lot of the gain but you need a pedal that has it. A plexi type pedal won’t get you there unless your pickups are pretty high output and has mids. I actually set my pedals fairly hot when I am going for these tones and just roll back the volume knob. Or I just use my #2 strat or even my LP with gibson 57’s humbuckers which are lower output, like a mean p90. Keep in mind this is for his live tones where he uses the red strat and this is my own personal experience/battle. I am using a Laney Cub12r and sometimes the blackstar HT5r. I want to chuck on the EMG DG20s on my #2 but I really like the texas specials. Mayhaps it is time for a third strat. Just wondering if you’ve had a chance to test the Stilletto from Buffalo Fx yet? I just received it last week and love the tones I’m getting. Honestly, I’m using it even more than the Evolution (which I absolutely love!!). I am a fan of the fuzz face sound and this pedal does that in spades and so much more. It also works fantastic as a boost in front of the Evolution, especially with the cut knob slightly to the right of center. The only issue (as with most germanium fuzzs) is that a buffered pedal in front of it will effect the tone. goodnight, as read in your top would be appropriate to promote a fuzz face (silicon) with a food soul?, if so where could be placed in gain control put the soul food or is low all the gain for a boost super clean ?, the tone control where you place yourself? Yes, Deco.. excellent choice. I see more interest in the Abbey Road mixing console sound these days. Bogner teamed up with Rupert Neve, JHS did his take wit the colour box.. just waiting till someone comes up with a boxed Eric Stewart Helios ’69. I have the Klon, wonderful boost but to big for my board. The Soul Food seemed a no brainer and it does come pretty close but it lacks the last 10% that makes the Klon a brilliant clean booster, making it sounding bigger so you can compete with that brassive saxophone. About the Tube driver. I have this Butler/Chandler I bought in the late eighties with the build in transformer, also have the rack version of it. I always thought that pedal was on of the few pedals that dont need an amp to sound great, it is like a mini amp. It is also the most warm and organic sounding pedals out there and absolutely no scooped mids. It is not perfect though, it can sound like a 4×12 in the room nextdoor with all that compression going on. I think the sound changes over the years. I remember to be disappointed when I first fired it up, bright and harsh. Or maybe my ears changed. Had a lot of overdrives, using a Marble bluesbox or Bad Cat 2tone nowadays. Never managed to get that sound from a small box. The Keeley blues drive comes close but, yeah.. those last 10 percent. Thanks for taking the time to create this site. I don’t know what I’d do without it. I need some help with my setup. I’ve been addicted to trying to replicate the sweet neck pickup tone from the first solo of Shine On from WYWH and I just can’t quite get it right. I’m using a Strat with Fralins, through a Blues jr. and I have an array of pedals to play with. Is there a setup you could advise me to rush out and buy that would give me all the tones from Shine on but especially the first solo? I’ve watched dozens of YouTube attempts but nobody nailed it. great article with convincing results â€“ I love my Evolution and my Soul Food a lot. I get great results with my vintage Hiwatt and also with my Mesa Mark V.
As I not only play typical Gilmour stuff but also some prog metal stuff, I also own a Mesa Roadking which is great for that type of music. Unfortunately I recognized that not only Evolution and EHX Soul Food but also all my other distortion pedals (Vick Ram, Buffualo Patriot, Wampler Plexidrive) donâ€™t sound right with the Roadking â€“ it seems that the Roading clean channel sounds too dark. I know that you have used the clean channel of a Mesa Rectifier during some of your gigs â€“ did you also made a similar experience that the clean channel is too dark for Gilmour stuff? If so â€“ how did you solve that problem? Technicalwise my Roadking is well maintained – no technicla problems and all tubes are replaced. Bjorn, since I already have the Spark boost, Throbak, and will be getting a BK Butler 3 knob TD, or Wampler Plexidrive, do you think there’s any need for a Soulfood? Wouldn’t the Spark do pretty much the same thing? Yes, the Golden Cello is an incredible sounding pedal for both Gilmour and Eric Johnson tones in one box. I really enjoy my P19 and Dover Drive but after hearing your demos of the vick audio 73 ram head and Buffalo Fx Patriot I am wondering if I should swap my p19 out for a 73 ram head/Patriot. While my favorite album is division bell I don’t want to limit my sound to just that. I want my board to be versatile but be able to nail the division bell tones. Currently I am using my P19 as my muff, and dover drive as my overdrive, with the pedal order being P19, dover drive, and then my buffalo fx power booster. If you had to choose which would you go with – P19, 73 ram head, or buffalo fx Patriot? Thanks! I have a pedal that you guys need to try. The Golden Cello by Mad Professor Pedals!! It’s not the easiest pedal to find but I got lucky and one was given to me by a friend that won it in a contest. The pedal is a drive and delay all in one. You can even take out the delay and just have a drive pedal. To me, this pedal falls about halfway between a traditional fuzz and a 80’s style Bug Muff. It has a volume knob, a gain knob, a delay control, and a tone knob. It also has some internal pots to adjust. Having really good luck with obtaining a ton of Gimour’s tones especially the late 70’s tones. Just by using the pedal’s tone shaper and my amps controls, I have been getting very close to Animals and The Wall!! 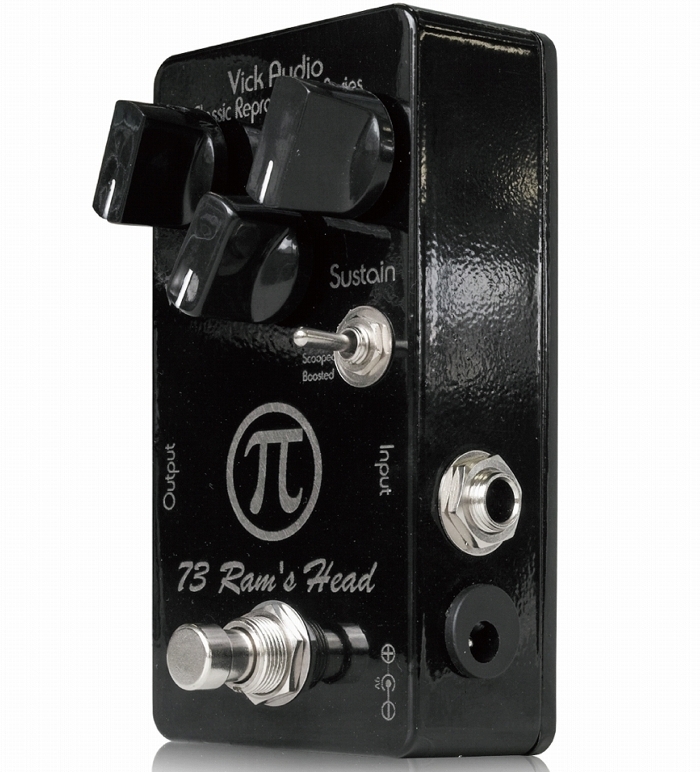 I know you’re a fan of the Vick Audio 73 Rams head…. What do you think about Vick Classic Rat 85 against any other clone? What would you pick? the Vick? the Mooer? the Cmatmods? ARC? BYOC? Hartman? Toptone Dg-2 and Jam pedals are too expensive…. Hi Bjorn!! I’m so excited, have you seen this?? I hope it really sound great, if it does, i can stop using my beat up old Deluxe. Will you get your hands on one of these if you can?? Confused… in your review of the Vick ’73 you wrote that you might like a little more top end, but in the one that’s custom made for you the highs are rolled off even more? Happy new year and i hope u had a great holiday ! Bjorn are you using it just for fun or are you finding Floyd specific things it can do? The Decco got me excited prior to it’s release but reviews I’ve seen haven’t really convinced me. Have you done a demo or review of this pedal or can you link me a good demo? Great work as ever this year, Mr. Riis. Happy new year and keep it up in 2015! P.S Loving the solo album! Thank you for all the great reading, and Happy New Year to you Bjorn! I have been a Gilmour fan since the late ’70s but just recently started playing guitar. I am about ready to buy compressor and delay pedals, and will probably go with the Flashback and Dynacomp based on your writing. I don’t know how I would navigate these waters without your work at Gilmourish.com, but Iam sure I would have made some pretty expensive purchasing mistakes without your reviews. Keep up the great work, it is very much appreciated. Great list, Bjorn! As a pedal builder, it’s rare that i have many big commercial pedals on my board. But for the price, The Soul Food was a must-have. Fantastic pedal in every setting you can throw at it. The only other ones on my board are my trusty Boss Tr-2 and my Echorec.. (sorry to mention that one! haha!). Look forward to a new year of features here at Gilmourish, and at your personal site! Happy New Year Bjorn. Nice to see Vick Audio 73 Rams Head and Buffalo FX Evolution on the list. I can’t think my pedal board without this two. Yeah you are right. Thanks for your help man. It’s much appreciated God Bless! I am glad to see the Deco on your list. It is my favorite new pedal os 2014 and is on of my favorite pedals period. I could easily have two on my board. There are so many uses for this one. Nice job brother! Happy new year and thank you! Ok thanks for your input! Sounds like what I need. I prefer all my overdrive and distortions be set at the same volume, then use a booster to stand out for a solo. The trouble with this in having a booster like the power booster, the bass and treble and gain settings may not work good for each pedal. Idk if anyone else has this problem or not. Hi Bjorn! How was your Christmas and New Years? Excellent selection of pedals my friend! I use the evolution all the time. I was waiting on someone to give word on the shine boost but I never heard anything so I assumed it sucked lol I think I am going to get it. I have the worst of luck when it comes to a simple volume boost…most alter the tone too much. But in your opinion it doesn’t alter it in a negative way correct? Great article! Very different and I loved it! Hope to see similar articles!